Your daily scoop of what State of the Union is watching today, September 3, 2014. 1. ISIS. U.S. intelligence officials are examining the terrorist group's latest execution video. They are trying to determine where and when it was shot and whether the man seen beheading American Steven Sotloff is the same person who murdered U.S. photojournalist James Foley. 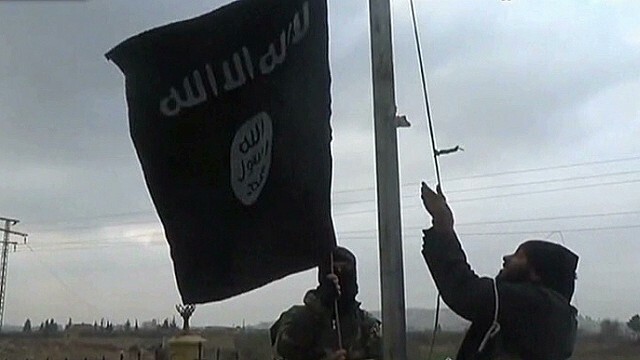 ISIS says the executions of Sotloff and Foley were in retaliation for the ongoing U.S. airstrikes in Iraq. President Obama said Wednesday the United States would not be intimidated by the jihadist group, while Vice President Biden vowed that the U.S. would pursue ISIS "to the gates of hell until they are brought to justice." 2. Iraq. The U.S. is dispatching 350 more troops there to bolster security for American diplomatic facilities and personnel in Baghdad. This latest deployment increases to more than 1,000 the number of U.S. troops in Iraq. The White House says the troops will not have a combat role though hundreds are there advising Iraqi military forces, who have gained some ground against ISIS in recent days. 3. Kentucky's Senate race. A new CNN/ORC poll finds Senate Republican leader Mitch McConnell with a slight lead over his Democratic challenger Allison Lundergan Grimes. The survey of likely voters finds McConnell leading Grimes 50% to 46%. McConnell's advantage is within the poll's margin of error. The survey shows McConnell with a 13-point lead among men, while Grimes holds a seven-point edge among women. The Kentucky contest is one of a handful around the country that could determine whether Republicans win control of the Senate.